In a joint project that is also likely to benefit the conservation of other threatened and endangered species, a team of researchers from the Australian Museum, the Queensland University of Technology, Australia Zoo, the University of New South Wales’ Ramaciotti Centre, and the Port Macquarie Koala Hospital, recently announced it had achieved the ‘holy grail’ of understanding the response of koalas to the infectious diseases currently threatening their survival. The initial draft of the koala genome sequence has identified genes implicated in the animals’ diet as well as their immune systems, including the koala interferon gamma, or IFN-g gene, a chemical messenger that plays a key role in the marsupial’s defence against cancer, viruses and intracellular bacteria. Peter Timms from QUT’s Institute of Health and Biomedical Innovation, said the IFN-g gene was the key to finding a cure for chlamydia and koala retrovirus, and its discovery would make it possible to fully test the effectiveness of vaccines on wild populations of koalas. “We know koalas are infected with various strains of chlamydia, but we don’t know why some animals go on to get severe clinical disease and some don’t. We also know that genes such as IFN-g are very important for controlling chlamydial infections in humans and other animals. Identifying these in the koalas will be a major step forward in understanding and controlling diseases in this species,” Timms said. Rebecca Johnson from the Australian Museum’s Australian Centre for Wildlife Genomics said tissue samples taken from several koalas had enabled 12,000 genes to be identified, but this number could increase, and the complete blueprint would have important implications for the future management of koala populations. “We’re working towards what we think is the complete set of 20,000, which is roughly the equivalent to humans. The koala is so interesting because they haven’t had a common ancestor for 35 million years so now we can look at why they’ve been so successful,” Johnson said. Just one animal provided a wealth of information relating to the koala’s immune system. Immune-related tissue samples taken from Birke, an animal who was euthanised following a dog attack, revealed sequences of at least 390 immune-related genes, according to Adam Polkinghome from QUT’s School of Biomedical Sciences, whose team is currently trialling a chlamydia vaccine for koalas in south east Queensland. “Virtually nothing is known about the immune system of the koala and the absence of information has been a major hindrance to our efforts to understand how chlamydia and KoRV infections lead to such debilitating disease in this native species,” Polkinghome said. Since it found the ‘holy grail’ the QUT team has developed a molecular test to measure IFN-g expression in the blood of healthy and diseased koalas. This has already been applied to a small group of wild koalas taken to the Australia Zoo Wildlife Hospital suffering occular and reproductive tract disease. The results will enable researchers gain a better understanding of koalas’ complex immune system, and successfully treat and immunise vulnerable populations of the animal. 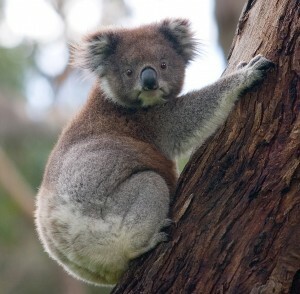 The genes, which only represent about 1.8 per cent of the total set identified in the tissues, were involved in B cell and T cell activation and antigen presentation – key components of the adaptive immune response suggesting that koalas have the capacity to protect themselves against microbial pathogens such as chlamydia. “By analysing this information we should be able to determine if KoRV is sitting harmlessly in these koalas or if it’s potentially triggering cancer or resulting in mild chlamydia infections becoming a serious clinical disease,” said Timms. Due to sequencing similarities shared by koalas and Tasmanian devils, researchers said there were implications in this close relationship of marsupials’ immune genes for the conservation of other Australian wildlife. They are calling for further academic and financial support to ensure the project can continue under the Koala Genome Consortium, which is one of the first Australian teams to map a mammalian genome sequence. Despite animal genome sequencing typically being conducted in the country of origin, work on Australian species has largely been done in the US, or in other parts of the world. While the consortium contains more than 12 scientists, veterinarians and bioinformaticians, Timms said the team had only “scratched the tip of the iceberg” and the task required many more people to assist with analysing the data. “This project promises to benefit gene discovery and the development of immunological tools that will help us fight diseases in our other threatened and endangered wildlife species. Funding to date has resulted in a rich koala genetic bank, but it will fall short if we are to use this data to answer key koala survival questions,” Polkinghome said. The Australian Koala Genome Mapping Program was funded by QUT, The Australian Museum, Bioplatforms Australia, and the State and Federal Governments.